I would like to appear before City Council, the last time I did was 2003. I was only the first police officer to appear before Council seeking to advise them of the problems and improvements needed in the Department. I heard racist comments from Joann Watson, stupid comments from Alonzo Bates and Sharon McPhail, who begged me to show her in the City Charter, how the Council could control the Mayor - saying, we have a strong Mayor form of government. How pathetic they were. Only Maryann Mahaffey acknowledge any understanding of what I was saying and the seriousness of the issue. Today, almost 5 years later, the Detroit Police Department has placed the lives of Detroit residents (not citizens / USA citizens, Detroit residents), visitors and police officers in greater danger than ever before. The Mayor and his booble-headed police chief, Ella BULLY-cummings, have closed one half of the police precincts and thus also - jail space, allowing criminals to go free because there is no place to house them. They have failed to approve a new police headquater. They have failed to approve a new jail with prisoner medical facilites, that is costing Detroit taxpayers, millions of $$$ in unecessary prisoner medical costs. They have created overcrowding in district stations, and the response time to 911 and morale among police officers. They have made bad decisions about not replacing the Crisnet report system - that is wasting paper and the officers time. all that I have said is true and validated by DC Ronald Haddad. His memo confirmed all that I said was true, and that the Department was failing its residents. 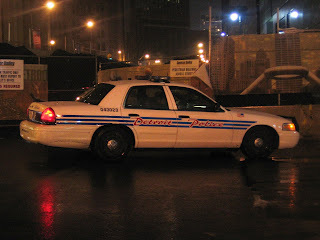 Detroit Police officers have not failed Detroit residents, its police chief and executives have. Time for a change of police chiefs and mayor. Right Now.